Netflix suffered a shock share price dive last night after missing subscriber growth targets for the first time in more than a year. Shares in the internet streaming giant plunged by around 13pc in after-hours trading in the US as it added 5.15m subscribers in the past three months – a million less than forecast. 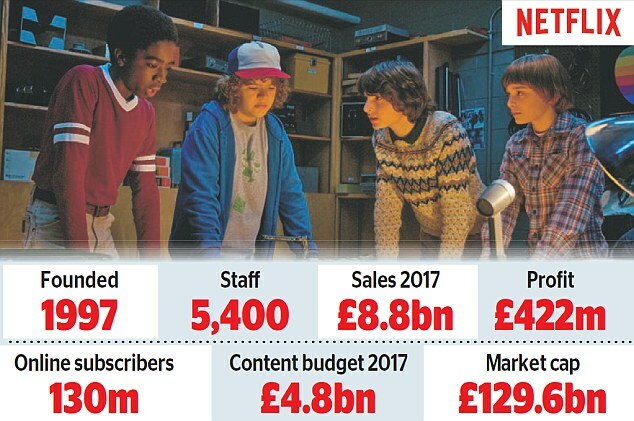 Netflix added 670,000 subscribers in the US in the second quarter, well below analysts’ estimates of 1.19m, while signing up 4.47m internationally, compared with 4.97m expected. It now has 130m subscribers.